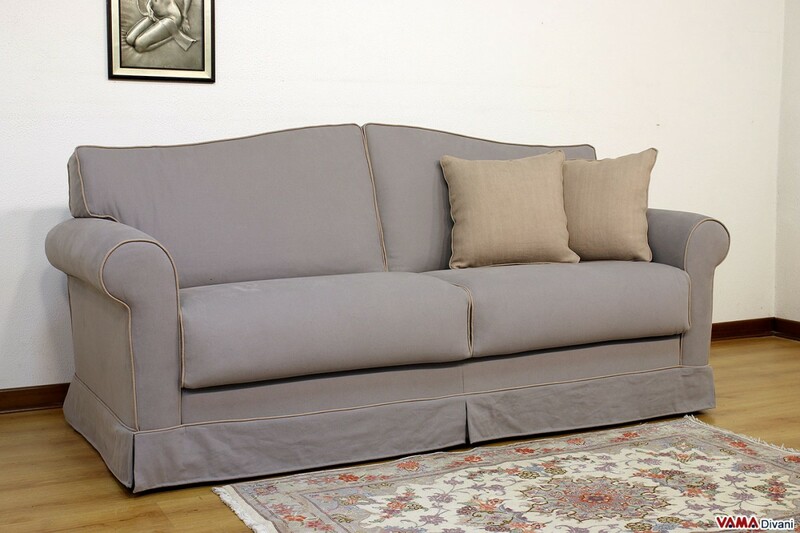 Vintage style is clearly visible in the Galles double sofa bed, a suggestive model characterised by a very elegant design. 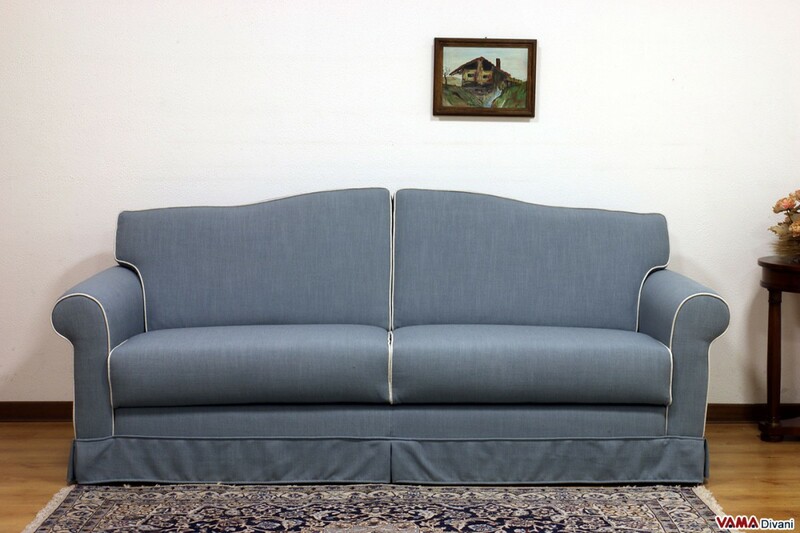 There are many details that make this sofa bed a product characterised by a typical classic design: the line of its back, the shape of its arms, the front and side smooth skirt covering its feet... although it is a sofa bed, Galles has nothing to envy the most famous classic sofas. 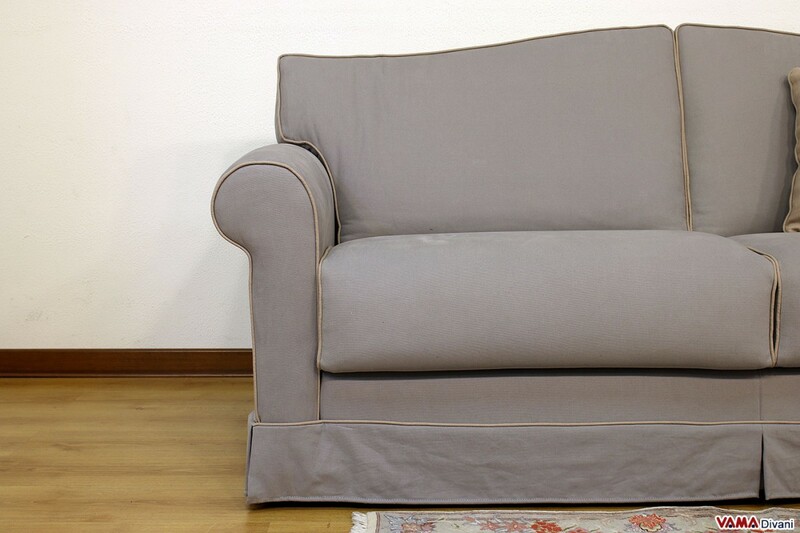 Its sturdy internal structure, made in high-quality wood, is composed of an electro-soldered mesh that, when it is opened to covert the model from sofa to bed, keeps all the cushions perfectly integrated, so that it is possible to "transform" the sofa in a very easy way. 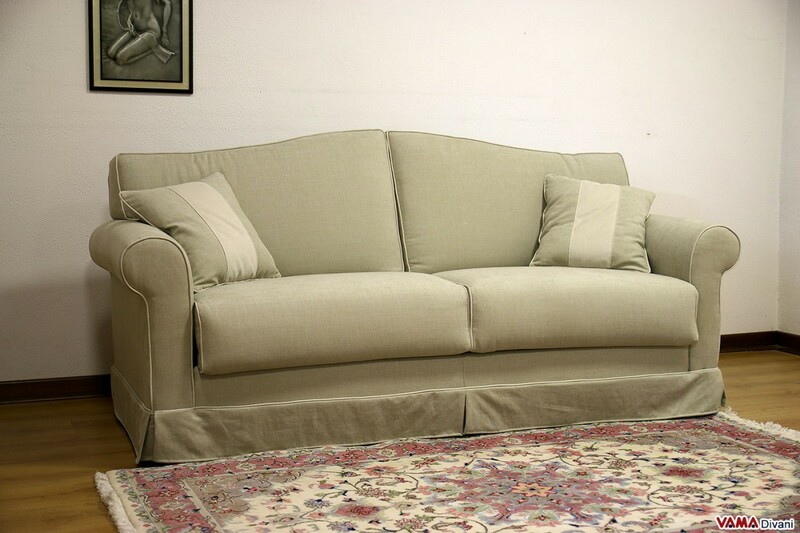 This sofa bed can be realised in double, queen, single and French sizes. 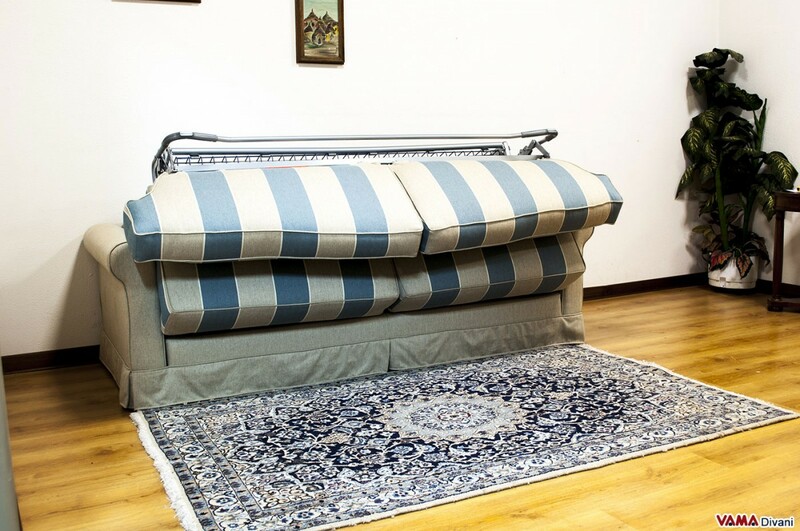 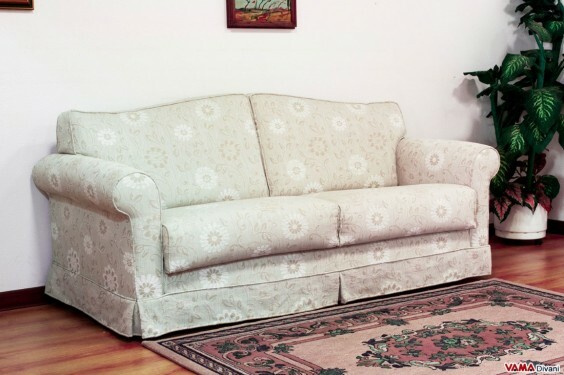 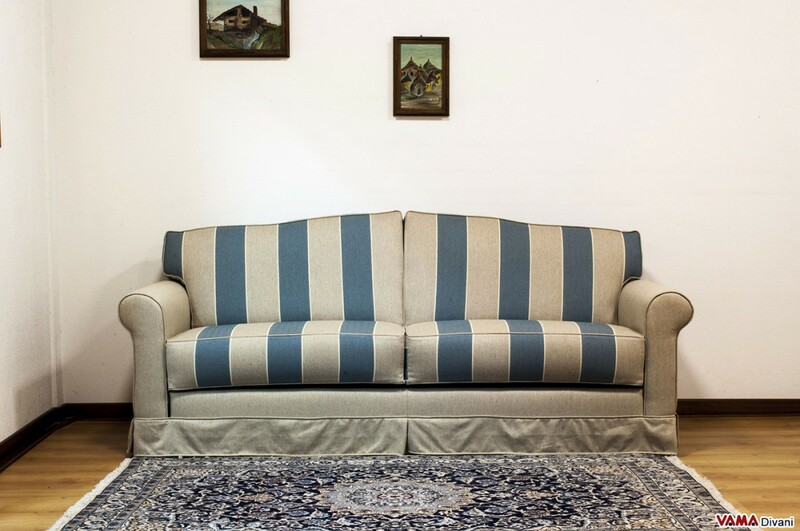 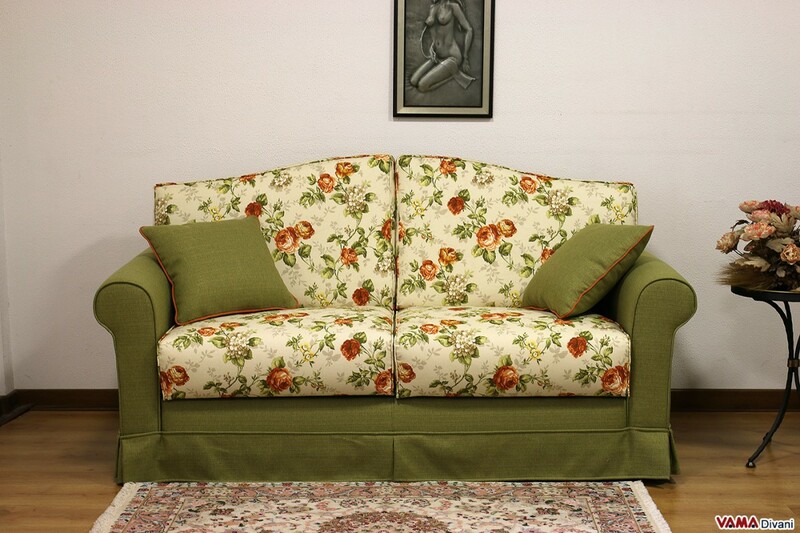 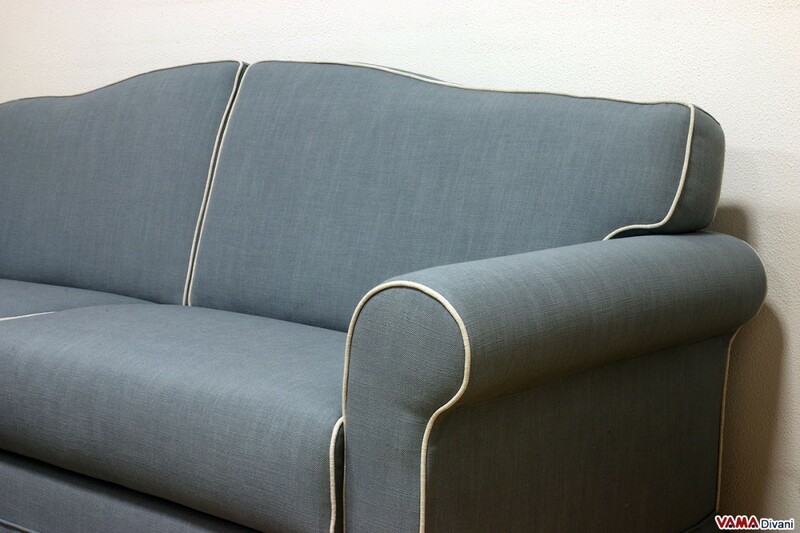 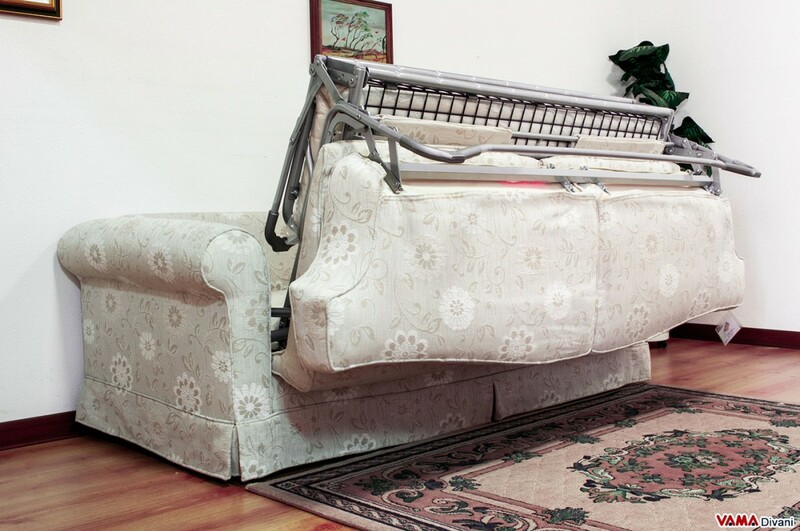 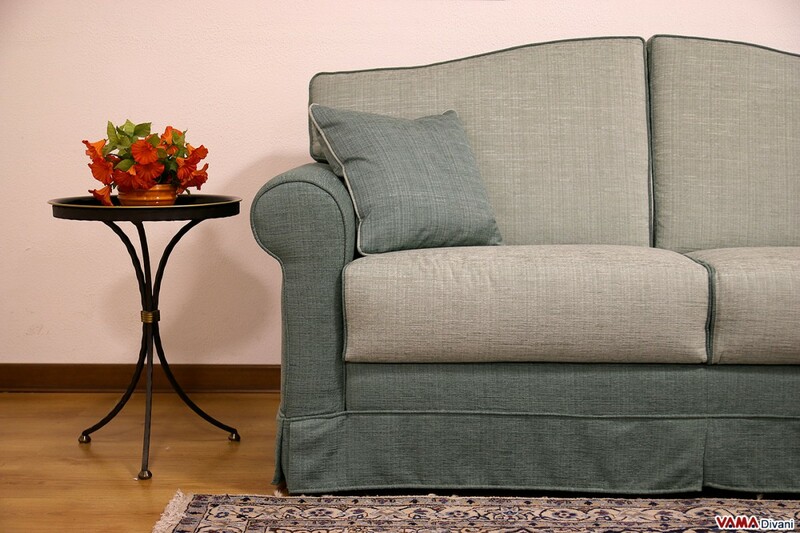 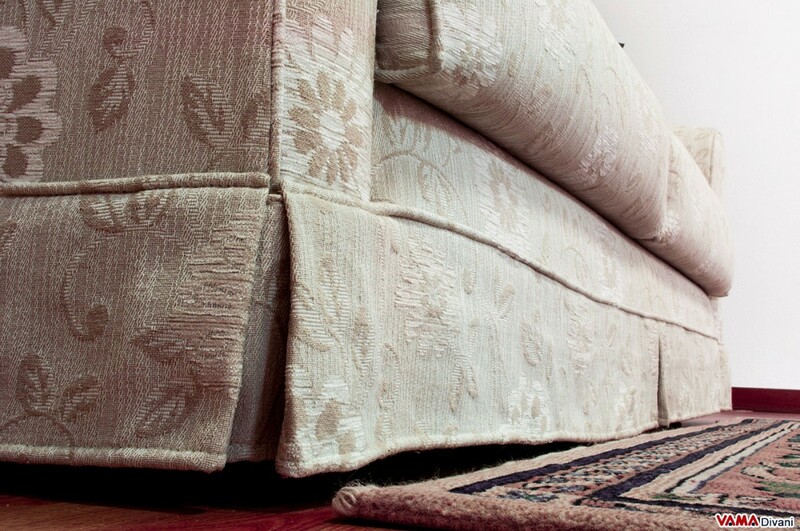 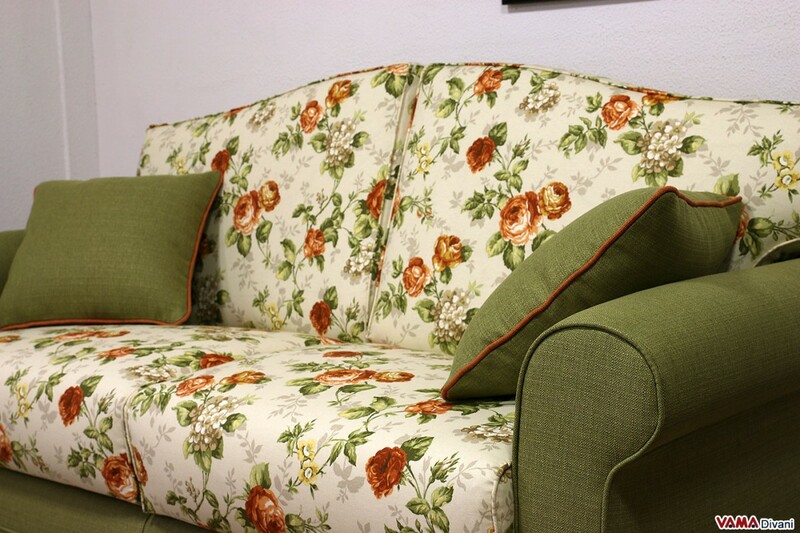 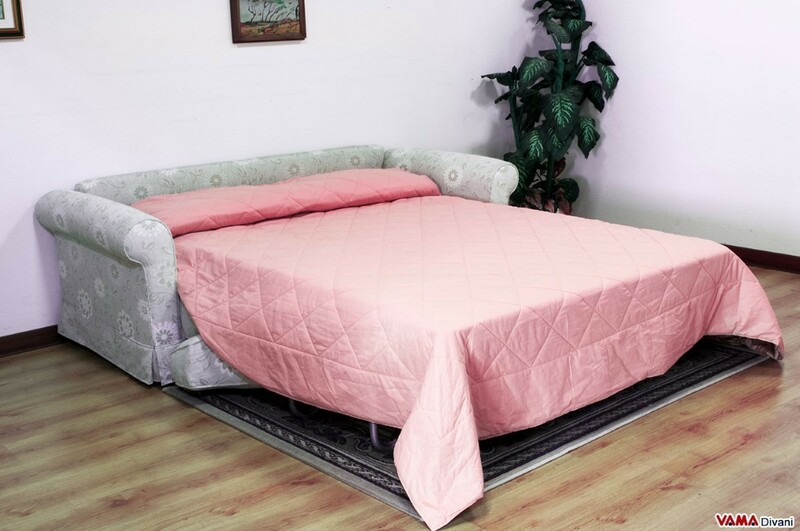 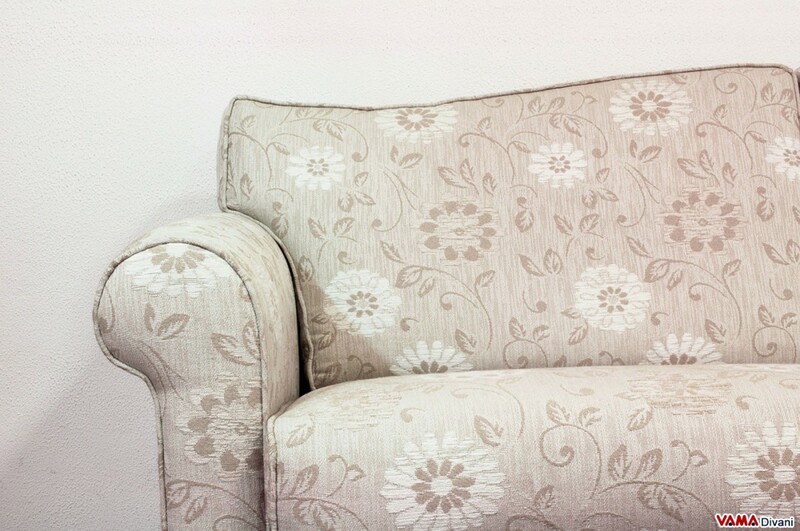 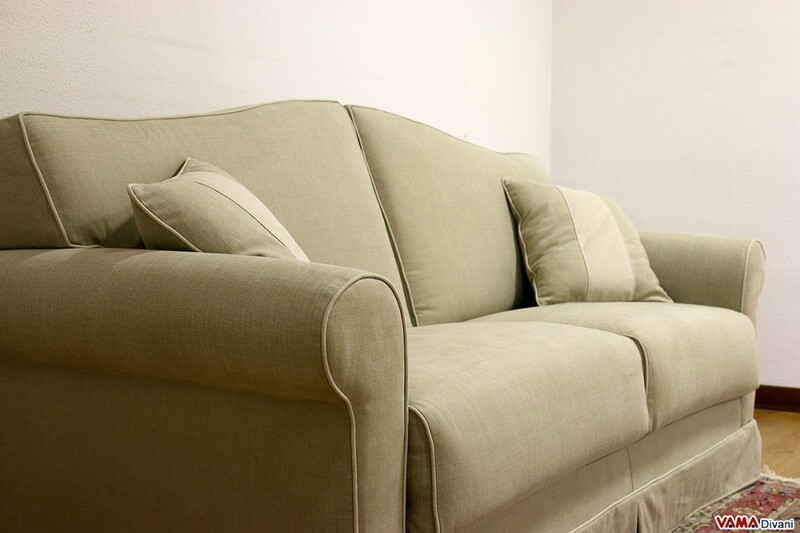 The high-quality fabric which upholster this sofa bed is completely removable, so it can be easily separated from the padding to be easily washed in your washing machine, just as you do with clothing; the Galles double sofa bed can be easily transported, since it can be entirely dismantled. 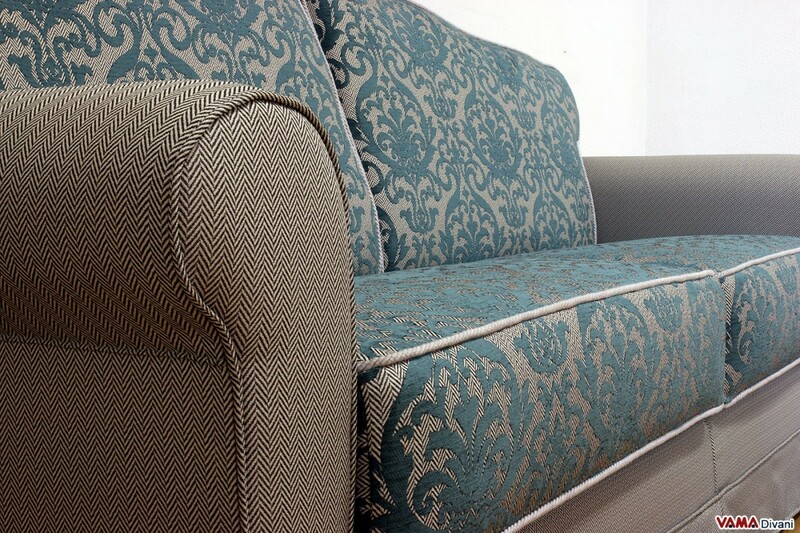 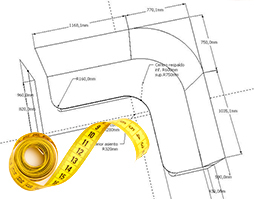 If you desire, you can customise the Galles sofa bed in every detail: this sofa can be realised even without its skirt, and of course, you can freely choose the colour and the pattern of its upholstery.